A growing body of science shows that immersing ourselves in nature is good for our well-being. Outside In—NATURE’S MEDICINE, a photography exhibition featuring professional images of nature by Hopewell’s own Gallery 14 Fine Art Photography, brings the restorative power of nature into the Investors Bank Art & Healing Gallery at Capital Health Medical Center’s Hopewell campus from July 13-August 31, 2016. 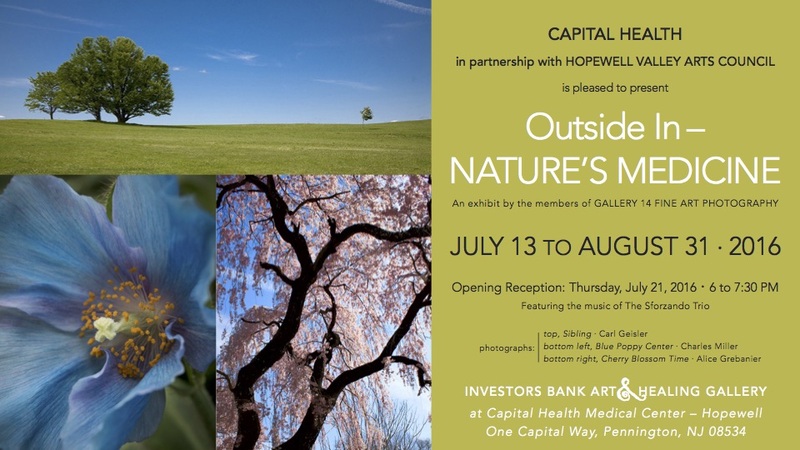 The Hopewell Valley Arts Council is delighted to partner with Capital Health on this exhibit. Please be sure to mark your calendars for the exhibit’s Public Opening Reception on Thursday, July 21 from 6-7:30. All are welcome to come by and enjoy refreshments, music by The Sforzando Trio and, of course, the gorgeous photography of this exhibit. Or stop by Capital Health—Hopewell anytime during Visiting Hours (8am-8pm) from July 13-August 31 to browse the show. The Information Desk at the front entrance to the hospital will direct you to the correct elevators to reach the gallery. Gallery 14, a local co-op gallery of ten photographers and artists, is one of a handful of galleries in New Jersey dedicated solely to the presentation of Fine Art Photography. The Sforzando Trio formed while participating in the Westminster Chamber Music Camp in 2013 and includes Shivani Shukla on violin, Hae-in Seong on cello and Vivian Huang on piano. They have performed in many prestigious settings, including Carnegie Hall for the Rising Talents, Music-Fest and American Fine Arts classical music competitions. The trio plays regularly at the Young Artist Program chamber music recitals at Princeton’s Westminster Conservatory and enjoys sharing their love of music. 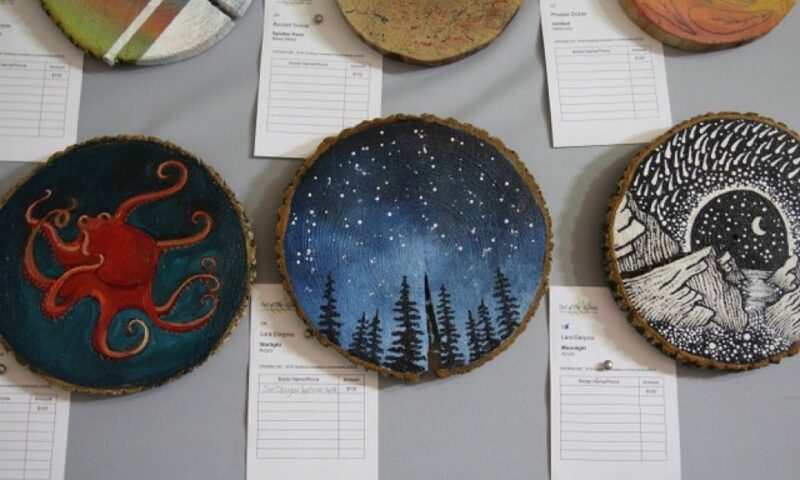 The Hopewell Valley Arts Council and Capital Health are pleased to showcase Mother Nature, the ultimate force of power, beauty and healing, in this exhibition. Nature provides a constant reminder of the circle of life and is a potent medicine for the rejuvenation of our souls. We hope that these beautiful photos of nature will provide color, comfort and hope to patients, caregivers, loved ones and guests of Capital Health. All artwork in this show is for sale: Full show catalog including artists, works, sizes and prices. A portion of the proceeds from the sale of artwork in each exhibition are donated by the artists to Capital Health. Capital Health uses the funds to continue to develop the integration of the arts into the medical center, including its Arts & Healing programs, gallery exhibitions and permanent collections.